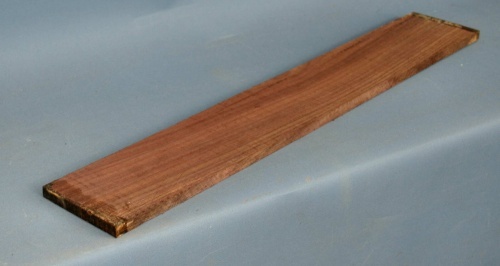 Indian rosewood 7 string guitar fingerboard grade AAA*. Dalbergia latifolia sourced from India. The grading system as detailed below evolved in the tonewood department of Timberline many years ago as an attempt to clearly define quality aspects of guitar back and sides sets. I hope that it will be easily understood and that you will excuse me for using a system unique to this company. Fingerboards are sometimes supplied tapered along their length but will be sufficient in size for the instrument they are intended for. 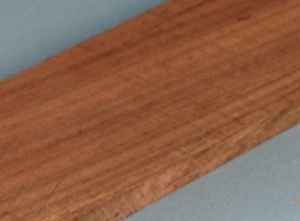 A standard guitar fingerboard may for example be 60mm wide at the nut end and 70mm wide at the soundhole end. Taper cutting is especially common with Indian rosewood and Indian ebony because it is part of the export regulations for these products.